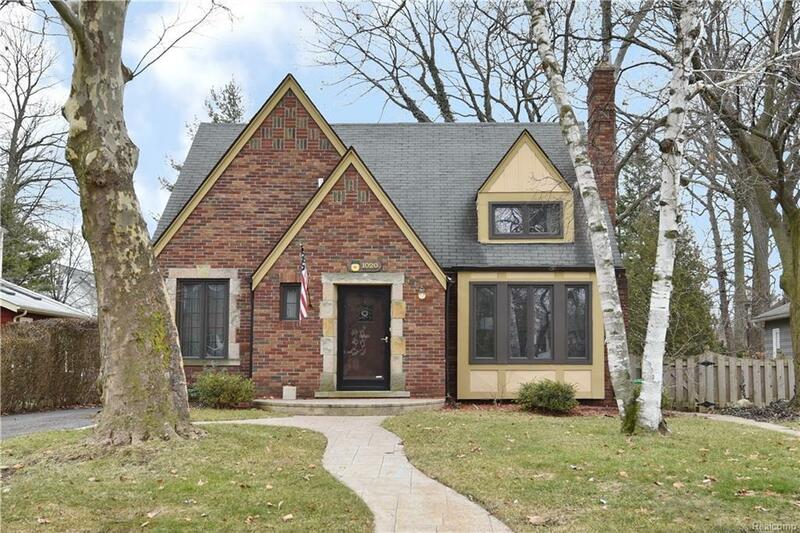 Located on one of Royal Oak's premier streets in the iconic Vinsetta neighborhood, this character-filled home is truly not one to miss. You are greeted with endless curb appeal, welcomed into an oversized timeless living room with beautiful fireplace, and seamlessly flow throughout the home. Each aspect of this home is truly oversized and upgraded-larger room sizes, custom built-ins, huge bathrooms, family room addition off the back...the list goes on. The second story is an expansive owner's suite with a substantial full bathroom and walk-in closet area. In the lower level, you will find plenty of storage, another 1/2 bathroom and a perfect rec room. Outside, a newer 2+car detached garage and beautiful stamped concrete pathways and patios showcase the attention to detail and amenities of the truly once-in-a-lifetime home! BATVAI, All measurements approx.